Next to chihuahuas and small dog mixes, dogs described as pit bulls are some of the most popular dog 'types' in all of CA. In the SF bay area, we can boast some of the best mannered 'block heads' you will find in the country, thanks to the dedication of hundreds of responsible dog owners and advocates who live here. If you've signed up for BADRAP's Pit Ed classes, this primer (with homework!) is for you. 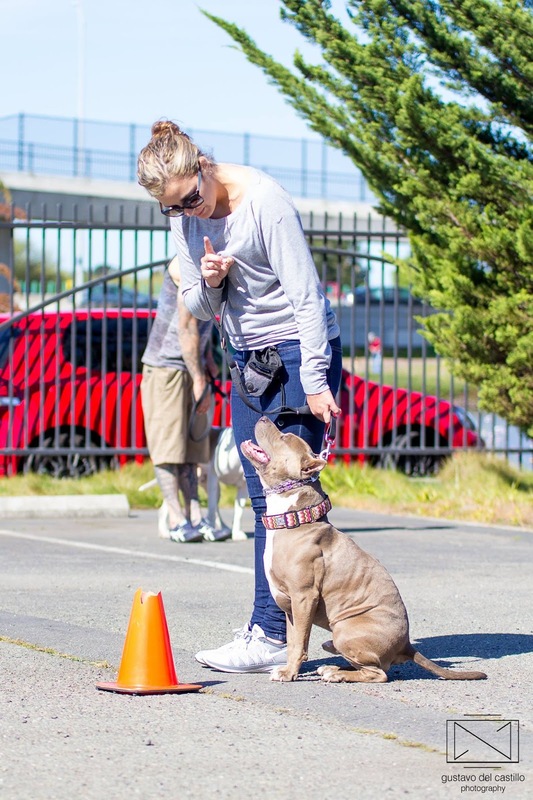 Classes are designed to help you and your dog learn how to be a better team. Your pet will learn self control around intense distractions, and you'll learn safe, humane handling skills so he can be a the best behaved dog in your neighborhood. We cover current events that affect our dogs, understanding dog tolerance levels, basic obedience, socialization, responsible ownership must-knows, keeping your dogs safe from negative experiences, and basic problem solving. If you're not in the SF area, we hope some of the info here will be a help as you sort out your dog's leash manners at home. Want to come observe? HERE We welcome dogless visitors with a heads-up email. Most dog owners want great 'street manners' ie, a dog that can walk down a busy street looking rock star cool and collected. This same dog will be well behaved when encountering bigger distractions (squirrels! skateboards! yappy dogs!) and will listen to your cues (leave it. sit. look. let's go!) when you need him to. Having good street manners means you can take your dog to a cafe and enjoy an uninterrupted conversation with your friend, or walk into the crowded lobby of your veterinarian and have the best behaved dog there. Left: After six one hour classes and some homework, Tony & Daniel wowed us by showing off their dogs' great leash manners during an up-close greet. This came from practicing new skills and totally rearranging the way they communicate with their dog. The best part? 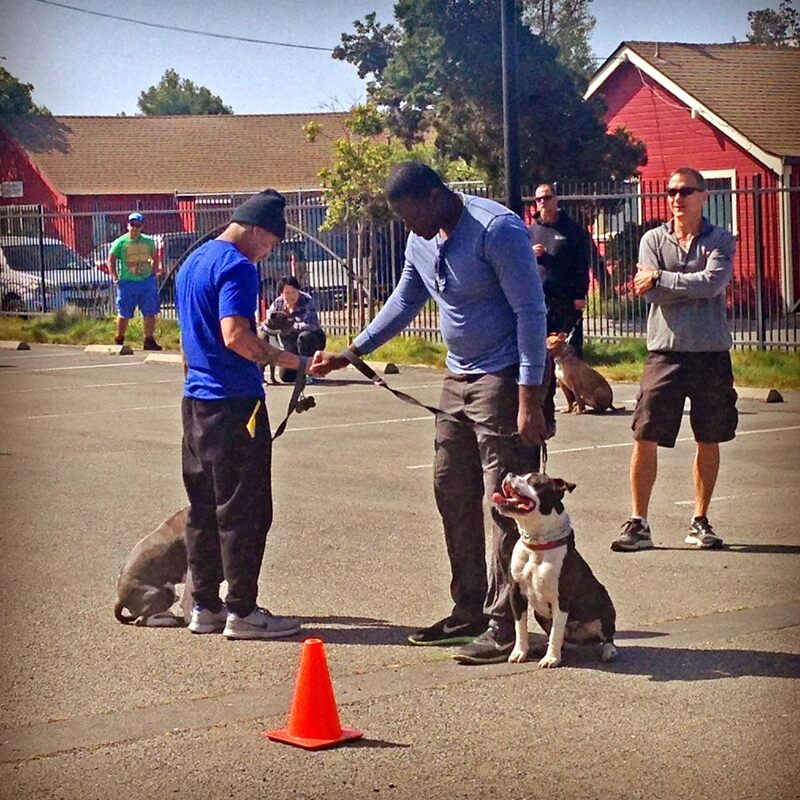 Their dogs loved the training, especially the happy attention they got for each success. "But my dog is too excitable to do that"
MOST of the dogs who first come to our classes are mildly to extremely excited by distractions, especially other dogs. How can we possibly help them get the kind of smooth manners you see in the photo? The foundation skill for just about any dog who can be overly excited by the sight of other dogs is eye contact with their handlers. The more you reinforce this skill at home where it's easy to accomplish ('Look. Good boy!') and then practice it in new situations with new and bigger distractions, the easier it is to build great street manners into your dog when he needs them most. "Who cares about that silly barking dog behind the fence. Look at me instead. GOOD boy!" Once your dog masters this skill, you're ready to start allowing him to look at the distraction briefly from a comfortable distance, and - important - praising for calm. Baby steps, baby steps! It's best to start reinforcing this skill at home without distractions and with a treat held up to the bridge of your nose. 'Look! Good girl!' ... and treat. Repeat. Later, skip the treat and point to your nose when you want to get your dog's full attention. Remember to use her name and speak in a clear, upbeat tone 'Sally! Look! Good girl.' Most dogs love to hear their names ... Even better when it comes along with your happy, enthusiastic, purposeful tone. As your dog masters the 'Look' during a 'Sit,' you'll start to ask her to give you eye contact while she's moving. And then you're in business. In our classes, the dogs that do the best usually have handlers who act like your favorite coach did in high school - Good direction in loud, happy voices with plenty of warm encouragement. Who doesn't love that? MORE HOMEWORK: Most dogs come to class already knowing 'Sit' 'Stay' and 'Down.' We really want your dog to know a good 'Leave It' command, too. You'll use this command to call your dog's attention off of everything from a chicken bone on the street to a reactive dog that pushes her buttons. 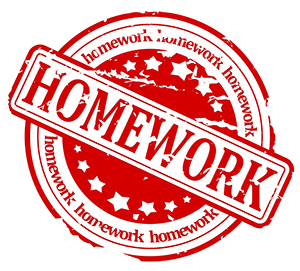 Here's a helpful VIDEO for your pre-class homework. You don't need to use a clicker btw to teach this skill. Just replace the 'click' with a verbal 'Good dog!' when she backs off from the treat, then make sure and offer her a reward from the opposite hand that you are using to hold the off-limits morsel. Your dog doesn't understand (much) English, but he's a master at reading body language. So your success in class will come from learning to navigate him around obstacles and distractions as smoothly and skillfully as a lead dancer moves his partner around the dance floor. But first, let's talk about Training Equipment. Our beginner classes accept up to 20 dogs at a time, and many will be bouncy and reactive to other dogs the first class or two. That's fine! You're welcome to use whichever collar or shoulder or head harness has been successful for you so far, with the exception of a choke or electric collar. By far, the most successful and popular training equipment for new handlers has been the micro-prong or the 'plastic prong' (the Starmark collar). We do not - repeat - we do not allow popping, yanking, pulling or otherwise punishing dogs who wear these collars in class. They're simply going to allow you enough power steering to finally get down to the business of practicing basic skills with your dog and helping him learn to be comfortable in a very exciting setting. This is especially true for people whose dogs are strong enough to pull them off their feet. 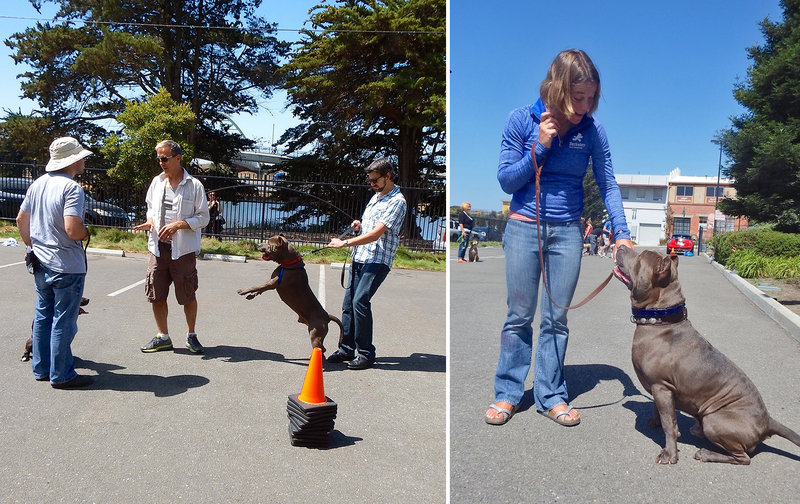 Right: Party Girl Cricket started her first three training classes on a prong collar, but graduated to a martingale as she learned that focusing on her person brought more reward than bouncing towards other dogs. Supported handler, smart pup! Below Left: Badda Bing was too rowdy on his harness to learn new skills during his first class, but arrived in his Starmark collar the following week (right) and got right to work. We love and welcome harnesses on dogs who respond well to them, but some dogs like Bing need a little more control initially to get them started. Bing's life was in danger when volunteers were unable to walk him at the local shelter where he was surrendered, so we took him into our program to get him on track. With the right equipment, he gave up the bounce and found quick success and then, a brand new home. Proper fit and technique is key. If you decide to try a prong collar on your dog, we want you to watch this VIDEO to help you get a proper fit. And remember, because we want you to reward your dog for good behavior - no popping the leash allowed. Handling - It's everything! If you aren't handling your dog correctly, he may pull in front of you or trip you up, especially if he wants to bounce towards other dogs. Please review this video to learn how you will hold the leash and incorporate your 'Look' and other commands during class drills. Once you're comfortable with the style of handling shown in the video above, you and your dog will start practicing close contact drills around other dogs, bikes, skateboards, feral cats (yikes! ), you name it. Everyone improves. And our favorite part: some of the most challenging - ie, naughty! - dogs tend to turn into the biggest rock stars. Q: But what if I do all of the above and my dog still reacts? Dogs are individuals and react for a variety reasons that can change as their circumstances change. Together, we can learn enough about your dog and your communication style with her to customize an approach that works for you both. Because practice makes (nearly!) perfect, you're welcome to continue classes long after you've 'graduated' from Beginner's Class so you can sharpen new skills that can be used out in the real world where it really counts. Q: Is there anything I can be doing before class starts? Q: My dog is afraid of people. Will this class help? 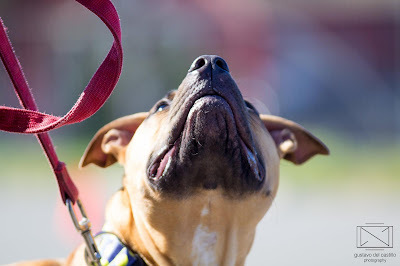 Pit Ed can be stressful for dogs with extreme fear issues because it can be loud, busy, full of dog noise and it butts up against a public park full of cars, visitors and other animals. If you think your dog will have a hard time in this setting, you may want to look into working with a trainer for one-on-one sessions. Q: My dog misbehaves at the dog park. Will this class help? Pit Ed is an on-leash only class. We'll discuss the pros & cons of dog park use in class, along with some fun ways to exercise your dog safely, but our focus is helping you develop solid on-leash street manners so you can navigate our busy city streets with ease. Q: My reactive dog is not a pit bull. Can I still come to class? Occasionally we allow other breeds, but because pit bulls are the dogs most likely to be judged in public and euthanized in animal shelters for bad leash manners, we've dedicated our efforts to helping them. For your non-pit, please look at some of the 'Growly Dog' classes held at local SPCAs and Humane Societies. Please be aware that, due to the extreme popularity of pit bulls in the SF Bay Area, our classes have a 6-9 month long wait list. We hope this post helps you gain enough info to get started before we meet you - or maybe, it can help you avoid the need for class altogether! More photos from class. Enjoy! First the bad news. This map shows the number of bank owned (foreclosed) homes being offered for sale this week in just one slice of Oakland - East Oakland, to be exact. 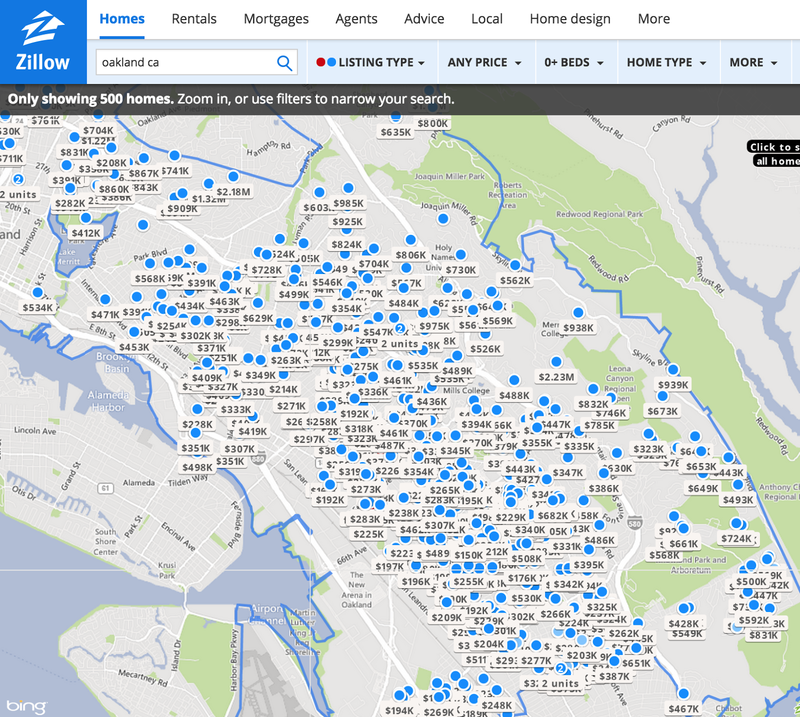 (Source: Zillow) It's a shocking graphic that grows as the map reveals more pieces of the hardest hit parts of the SF east bay. Behind every blue dot is a displaced family and/or an evicted tenant. Approximately 47% of those homes likely owned one or more dogs and/or cats when they were told they had to move. (That figure comes from the American Pet Products Association, who likes to keep tabs on the number of American families who own pets). Where did all those families and all those pets go? Many have been heading east, in search of affordable living. Faced with a dearth of pet friendly rentals, thousands are forced to leave their pets behind every year. 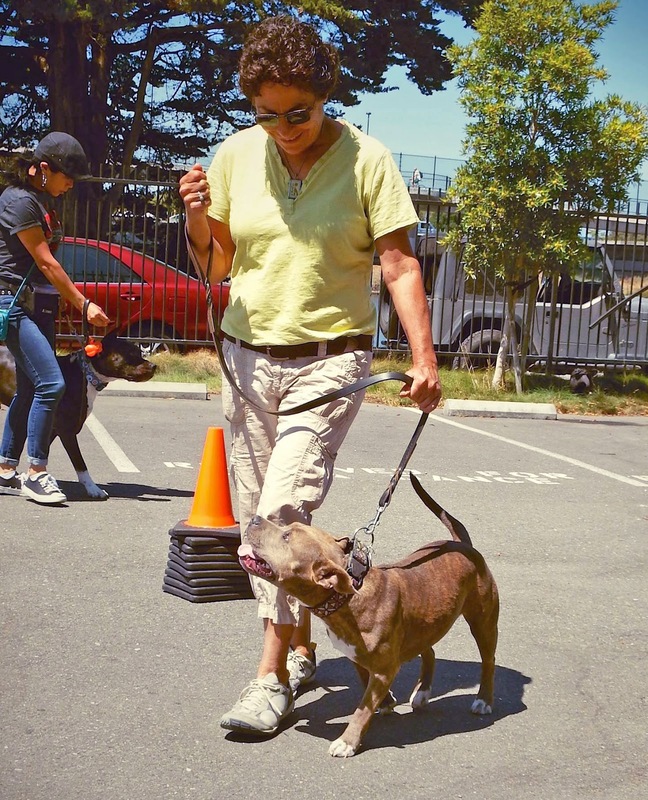 In Oakland, where pit bulls have traditionally been among the top three most popular breeds, we can practically draw a straight line from every other blue dot to Oakland Animal Services. Or, hundreds of straight lines. Contrary to popular stereotypes, SF Bay Area pit bulls aren't filling shelters because there are 'too many' of them, or they're 'too unwanted' or 'too difficult' to own. Instead, many if not most were well loved dogs who've simply been displaced, right along with their humans. Many of the blue dot dogs also reflect the lack of affordable training resources in these same communities, so are doubly challenged by a lack of basic manners when they land in the shelters. In a market oversaturated with dogs-in-need, the well mannered dogs are understandably cherry picked for adoption programs, leaving the dogs with caveman manners at a much higher risk of euthanasia. Dealing with the aftermath of the economic trends and housing shortages has vexed animal shelter workers for over a decade, even while live release rates are closely scrutinized by a public hungry for 'save them all' successes. 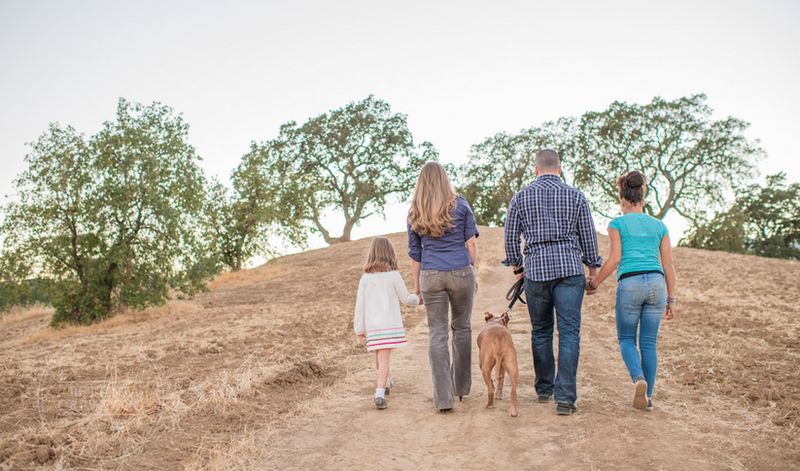 Successes are within reach but can be hard to sustain, and it's not uncommon for frustrated critics to place blame on surrendering families for not trying harder to keep their pets or at animal shelters for not trying harder to attract new homes. 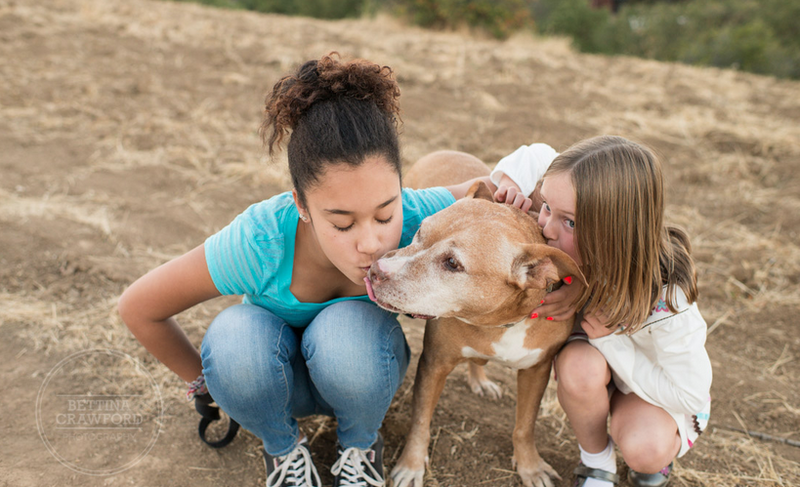 To their credit, shelters have increased adoption rates for pit bulls and other dogs substantially over the years all around the country (news link). Yet the intake numbers have have held steady. What's a shelter to do? In a very real sense - until and unless the flow of displaced pets slows - any animal shelter's best defense to the perennial intake of larger dogs is to keep their marketing skills sharp and social media pages humming so well resourced families can be attracted to the same dogs their less fortunate neighbors were forced to give up. Rather depressing, but true. The good news is that many in the animal welfare field are finally rubbing their eyes awake to the bigger picture. Under resourced dog owners shouldn't be written off as bad guys, and 'Owner Support' programs that honor the human-animal bond are finding their legs. Inventing new ways to keep challenged dogs in their homes is becoming the in-vogue topic at animal welfare conferences and even publications like Dodo, which ran this article early in the week. Understanding the key causes behind high shelter intake numbers doesn't always afford us easy solutions, however. 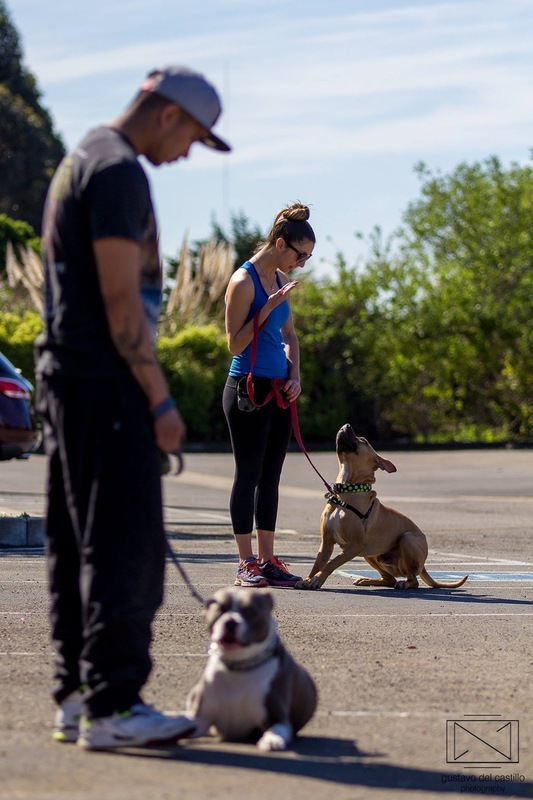 At times, the reality of homeless dogs can seem so overwhelming - It may have almost been easier for animal lovers to believe that the majority of pit bull owners were irresponsible and required policing, as San Francisco and other cities have done. But we're smarter than that now, and hopefully more compassionate. Or at least, we know we're supposed to be. Photo credit: Chris Arson. 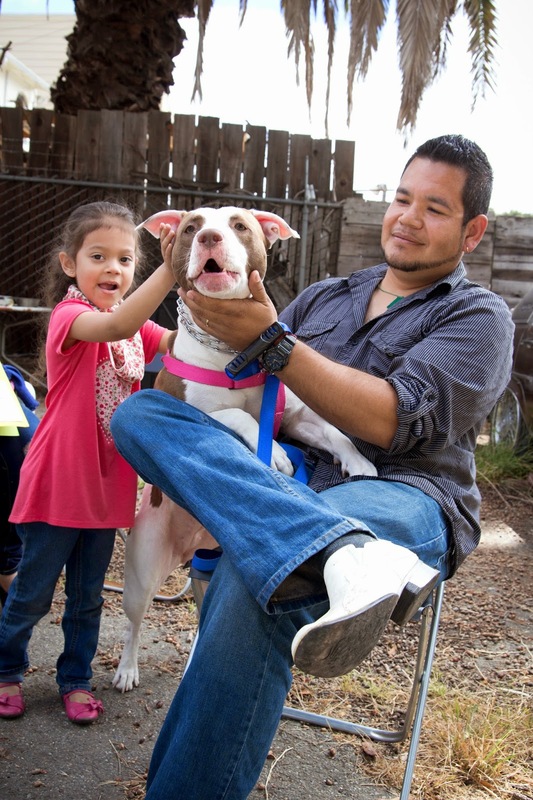 An Oakland family comes to a 2014 BADRAP owner support event to have their dog spayed. We lost our founding dog Sally recently, which was as big a blow as anyone can experience when saying good-bye to a dear friend. Our nostalgia about our seventeen year friendship with her stirred a project we'd been simmering for years: An image-rich tribute to the human-animal bond and the ways we're transformed by that bond. 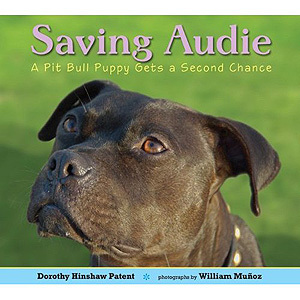 The healing, motivation and comfort that dogs offer in exchange for a meal and some ear scratches have been a source of poetry and prose for centuries, and now, as pit bulls secure their rightful place in our culture, their fans seem to have no shortage of gratitudes and stories. In fact, people have been writing to us since our group began to express their amazement at their love for ... a dog. We feel like therapists at times, taking confessionals from people who can't quite believe how much their lives have changed for the better. "We understand," we reply. The human-animal bond is big stuff. It's been nudging us to evolve our thinking about our planet and its creatures and even each other, and all in the most positive of ways. The newfound interest in dog owner support programs, for example, is born out of our shared love for companion animals with people in communities that may be very different from the ones we grew up in. We thought* we were helping dogs, but really, the dogs have been helping us to become better humans. Clever beasts. 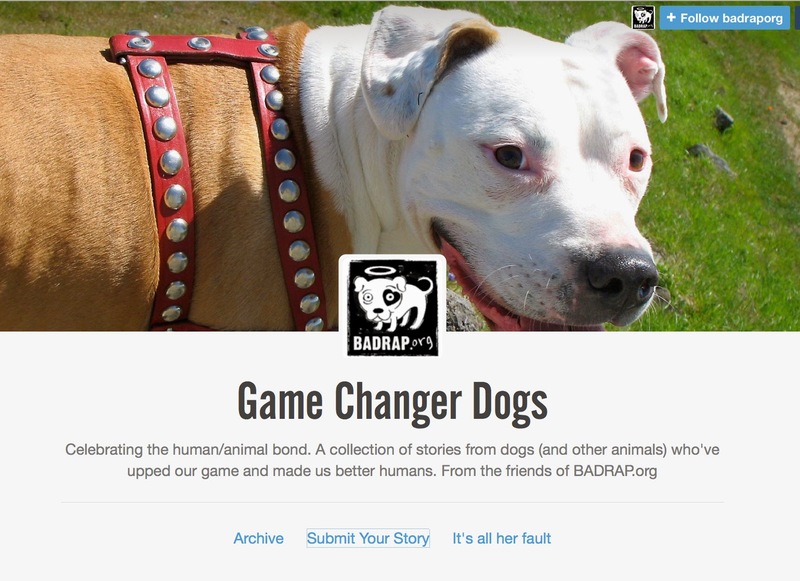 And so, here is the start of our little project: Public confessions of game changing dogs. Many of the entries in this growing collection are heart tuggers, some are funny and a few are quite candid and deeply personal. Now seeking a very special Super Hero who has the vision and fortitude to help us ramp up our Keep'Em Home work in the SF East Bay. Thank you for sharing with your community-minded friends and colleagues. Are the holidays always so filled with nostalgia, or was this year special? Life ends, Life begins. And on the first day of this New Year, our team tended to a small litter of puppies who've just* started to scuffle around. They currently look like wrinkled old men, trying out their new legs. The pups and their most wonderful mom Waffles came to us two weeks ago from Yolo County Animal Services and promise a lifetime of fond memories to their future adopters. Life demands that we keep moving forward. In the middle of the sad news and those busy tasks, we made preparations to reunite a dog named AJ with his (formerly homeless) family (photo link); a reminder that rescue work is intrinsically connected to our wider community, whether we want to acknowledge it or not. AJ's story is spelled out in our year end report, linked below. 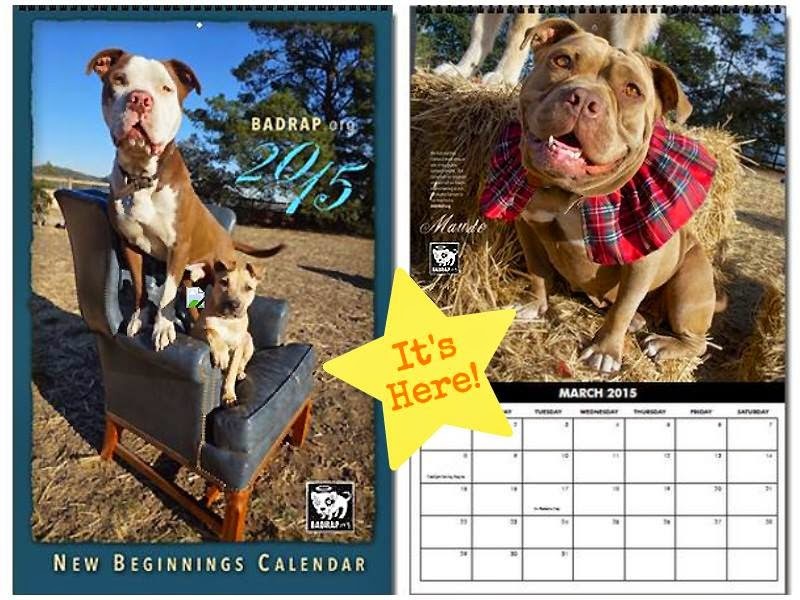 If you haven't already, don't forget to purchase your 2015 New Beginnings Calendar. 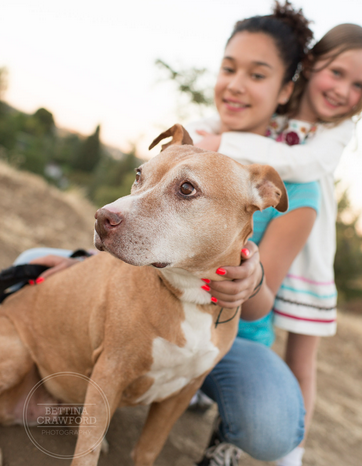 Each month highlights a rescue case who moved through our adoption program on their way to new lives, and each story represents a certain triumph for the dog and a happy day for their new families. For more information on the key projects that kept us busy in 2014, and a look at what we're doing next, please give our year end report a read. Miles to go before we sleep, and we're so happy to have you alongside us for the sometimes bumpy, sometimes silly, always interesting ride of our lives. 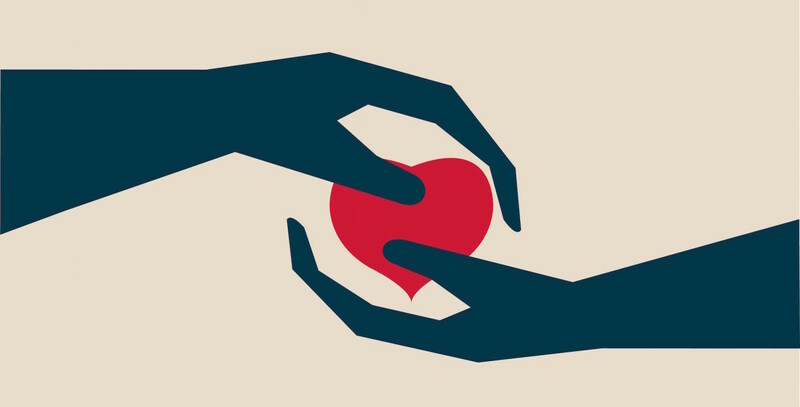 Thank you for being such a big part of this nationwide movement to keep the 'blockheads' in our circle of compassion. Good bye, sweet girl. You won't be forgotten.